The Brickhouse is an experienced sound company that has provided reliable sound services since 2006. We specialize in outdoor festivals, Corporate events, small venues, and houses of worship. We have experience working with local, regional, and national touring acts. 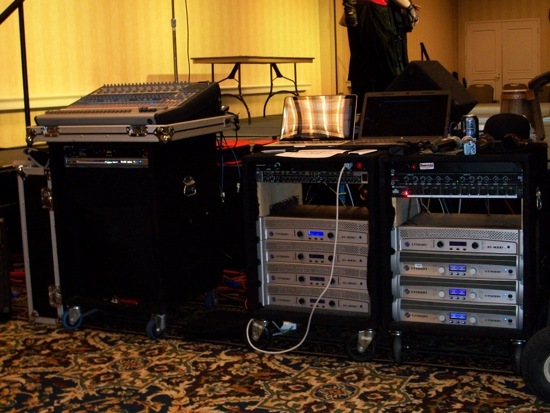 Sound services start as low as $500.00! Presonus Studiolive 32.4.2 / with Ipad wireless remote and 32 Channel Recording capabilities. Custom built compact stage monitors, 15" woofer, 2" Horn. 48 Par 64 L.E.D. 3 watt programmable lights, lasers, and arena hazer machine.